You are here: Home / Internet Marketing / Are Customer Feedbacks Source of Problems or Instrument of Sales? 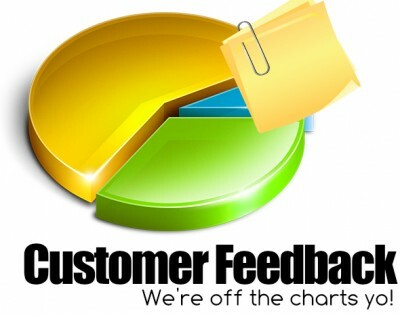 How are important customer feedbacks for the online store and whether it is worth publishing them on an online store site? How these responses influence on online store visits, number of orders and conversion? Similar questions are of current importance for the majority of Internet businessmen now. Experts of the internet portal of goods and services conducted a unique research for the market and defined the influence of feedbacks and comments about an online store on its sales and conversion. The researchers selected 400 thousand orders of 8000 online stores from various categories (consumer and industrial goods and services). According to the results of the research, the report can explain the influence of comments upon the websites. It consisted of quantities of responses on probability of purchase; one response (including positive and negative) on the number of visits and orders; influence of attendance on quantity of responses; the dependence of the number of purchases on the reaction of the company on responses. Research showed that the online store of 50 and more comments has the probability of purchases 3,5 times higher, than in the similar shops with one feedback and 2,8 times higher, than online shops with 10 responses. During the research, the experts found out that not only positive, but also negative feedbacks can help online store sales. For example, any published response (negative, positive or neutral) with an efficient answer from online store increases number of purchases by 3 times. The negative response which the company has answered also has a great impact on making the decision to purchase, but if the company has solved a problem of the buyer. Therefore, the experts of electronic trading recommend working constantly and attentively with responses, especially negative as it is an excellent way to turn dissatisfied clients into returning customers. It is known that the highest probability of purchase is observed at online stores with the vast majority of positive responses. However, the research of the experts elicited the interesting fact: 100% positive responses make the users think over about it and considerably reduce the probability of purchase. negative responses with immediate answer from the online store and a solution of the problem. invite users to discuss the shares and goods in your communities in the social networks. Except the attracting additional visits and new target audience, comments and feedbacks improve search optimization (SEO) of the online store. About the author: Paul Smith works on the blog, SEO, marketing, design and content for the marketing team. Writing is his hobby and he succeed in it. You can find his works at clever writing paper services. He also has a Google+ contact at Google.